Register Log In GliderCENTRAL Forums Diet & Nutrition is the stuff critter love sells the same as the HPW mix?? The Original HPW, now known as Critterlove Original, was developed by Peggy Brewer and her veterinarian. It is made with High Protein Wombaroo powder which has to be imported from Australia. Several years ago Peggy and her team of veterinarians and World renown Animal Nutritionist developed the Critterlove powders. Critterlove Plus is similar to Critterlove Original as you mix it with 3 scrambled eggs, 1 1/2 cups of honey, 1 TBS of Bee Pollen, 1/4 cup of the Plus powder and 2 cups of warm water. It freezes to the consistency of ice cream. Critterlove Complete has all the eggs, honey, powder and bee pollen in it you just mix it as directed with water and it freezes hard so it much be frozen in ice cube trays. There is also Critterlove Complete breeders formula. The Critterlove Plus, Complete and breeders Formula have been tested and continue to be tested. 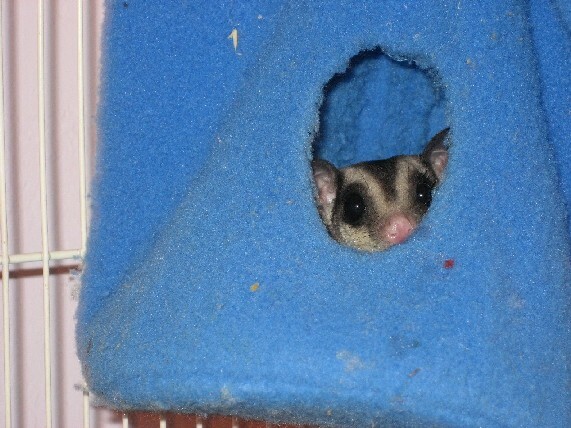 They are formulated for out gliders in captivity and are sold around the world. thank you so much for the info I will order it then.